Temple Grandin: Just Amazing - I Love ABA! 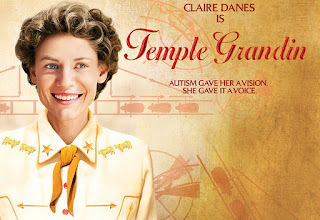 If you don't know who Temple Grandin is, you should. She's so amazing. Temple is arguably the most well known Autistic public figure. She is a professor of animal sciences, inventor, author, presenter, and speaker. If you have never heard of The Squeeze Machine, or "Thinking in Pictures", then you should click on both links for more information. 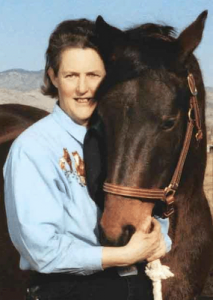 Temple's contributions to the field of Autism research and treatment is irreplaceable, and she has also tirelessly fought for more humane treatment of livestock on cattle ranches, including more humane slaughter practices. Recently HBO did a movie about Temple's life starring Claire Danes, that I HIGHLY recommend for anyone who has never had the pleasure of reading any of Temple's books. The movie shows what life was like for Temple as a child, but it also shows what day to day life is like for an adult Temple with her social, communication, and sensory processing issues. It's hard to try and summarize the impact Temple has had on professionals, families, and children living/dealing with Autism whom she has never even met. When I started working in this field (which really wasn't that long ago) the idea of an adult with Autism who could be a professor, teach classes, think up and design inventions, and speak all over the world at conferences, was just unheard of. The most optimistic families I knew back then just hoped their child could one day live in a nice residential facility and learn self help skills, such as making a sandwich. I didn't know any adults with Autism, and the few adolescents I worked with were all pretty significantly impacted by their diagnosis. One of the first ABA books I ever read as a new therapist was "Thinking in Pictures", and it completely changed how I viewed Autism. For the first time, I was able to read about what a meltdown feels like for a person with Autism.... Or how painful sensory issues can be..... Or how socially isolated people with Autism can feel, even in a room full of people. I think any parent who wonders what the future holds for their child can look at Temple and know that there is no set answer. At one time in history a diagnosis of Autism meant a child was immediately institutionalized and deemed "hopeless". Now we know that with treatment and resources there's no limit on quality of life. Reading Temple's books helped make me a better, more empathetic therapist. I could understand why the kiddos I worked with hated hugs, holding hands, or strong smells (such as my perfume). Its so important for parents and professionals who work/live with children with Autism to listen to what Autistic adults have to say. Its important to know that there are poets, musicians, authors, businessmen, inventors, scientists, etc., who have Autism. Just like anyone else they likely have good days and bad days, and may struggle with fitting in from time to time. That's life. But your life doesn't have to be my life for it to be great, and vice versa. A little empathy goes a long way.